You are currently browsing the The Pet Product Guru blog archives for the day Thursday, June 10th, 2010. 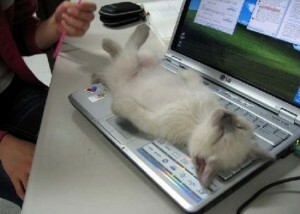 CATS SLEEP ANYWHERE – EXCEPT IN THE EXPENSIVE CAT BED YOU BOUGHT! 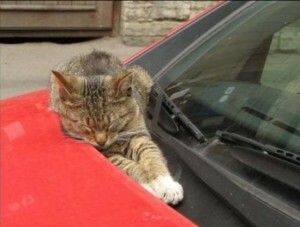 Does your cat sleep just about anywhere? Mine do. Whether it be in a closet, under the bed, under the covers of the bed, on the window sill etc. My younger cat sleeps on top of my audio equipment! It can’t be comfortable but it is warm. Cats like warm places. 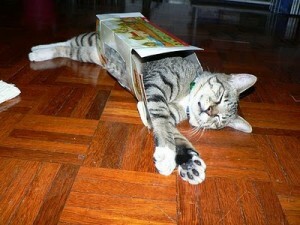 You’ll never know where you’ll find your cat sleeping. I’m sure that you’ve had an experience where you’ve spent quite a while shopping for a nice cozy cat bed. You pick one out, spend a fortune, take it home and there it sits in the corner collecting dust rather than cat hair. Your cat is sleeping somewhere else and wants no part if the cozy, expensive cat bed that you just spent half of your pay check on!